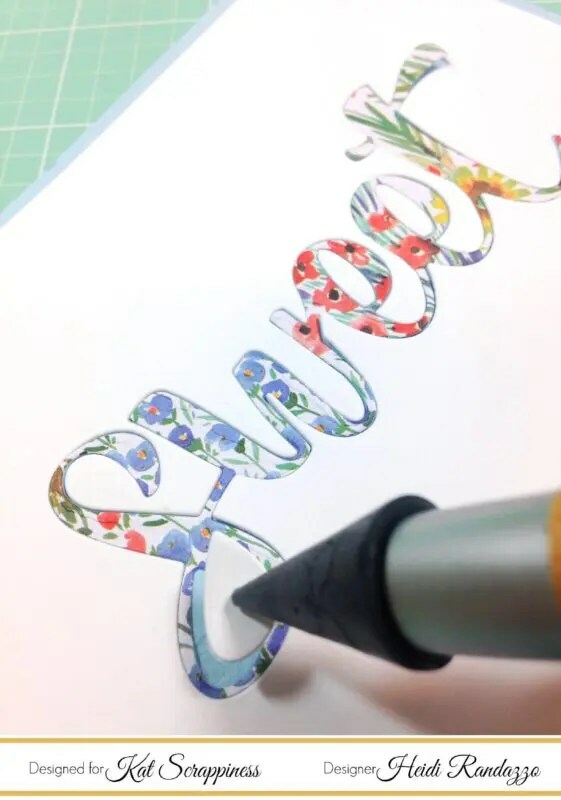 Most of us enjoy a little sparkle on our cards from time to time. 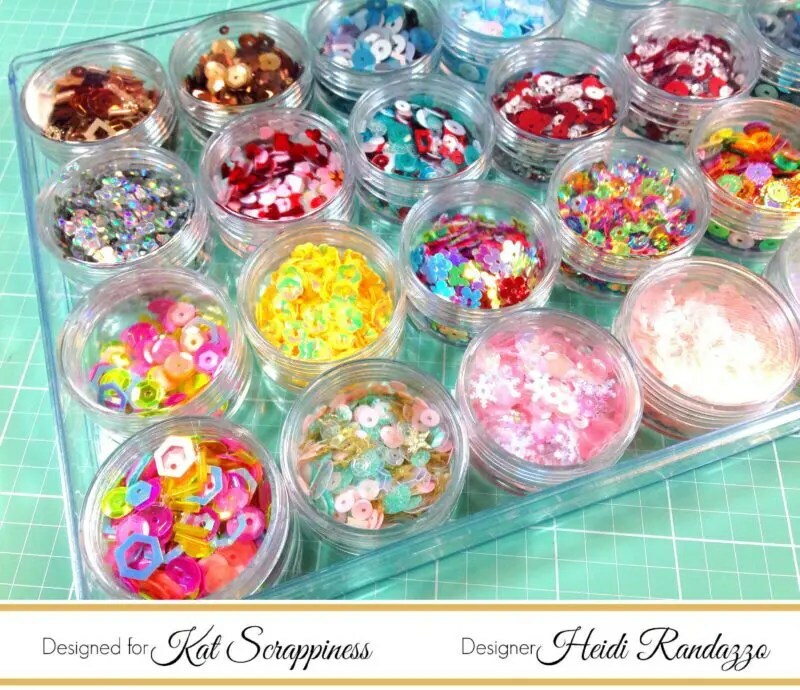 Whether it’s sequins, rhinestones, glitter dots, that glimmer is sure to bring your project to the next level. Dealing with the glue that’s involved can sometimes be a little difficult. That’s where the Crystal Katana tool comes in. 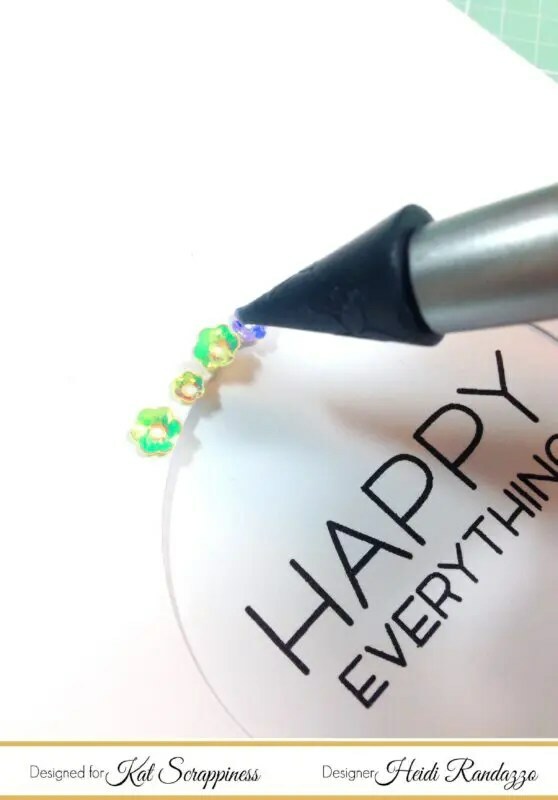 This handy tool allows you to place your embellishments down and move them around easily without getting glue all over your hands. The waxy tip allows easy pick up without leaving a “gummy residue”. The adapter tip includes 2 sizes for ensuring your embellishments are securely fastened down. 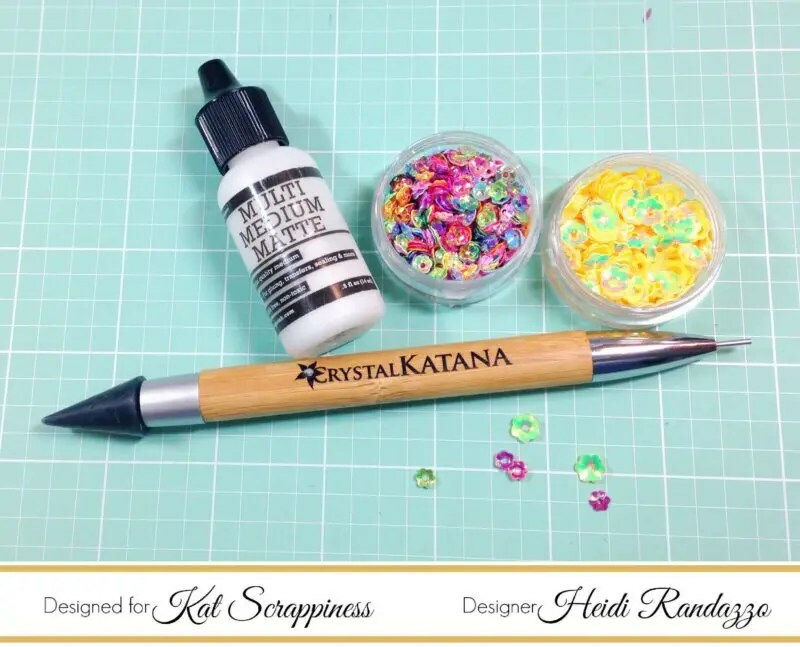 If you like intricate inlaid die cutting, the Crystal Katana is perfect for popping back in all the little paper pieces. Below is a video review that Kat did back in 2015 that shows the Katana in action!